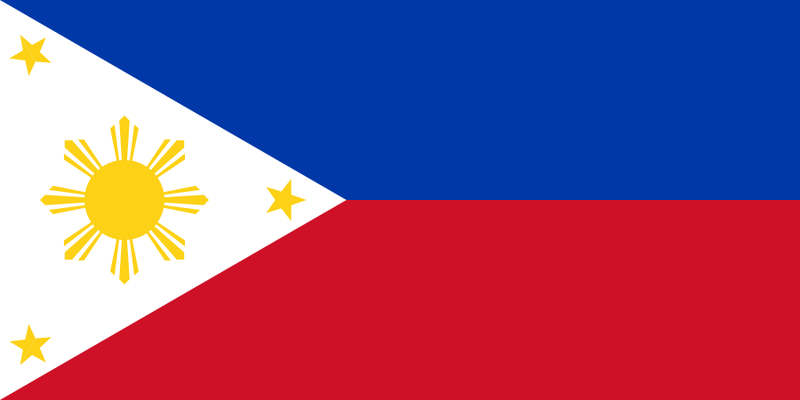 Dara Torres is a veteran of five Olympic Games, from the Seoul in 1988 all the way to Beijing in 2008. She had amassed a total of 12 Olympic medals, four of them gold. The then 41-year old Dara won three silver medals in Beijing. At the 2012 U.S. Olympic Trials, the 45-year old placed fourth in the 50m freestyle finals, narrowly missing a ticket to her fifth straight Olympics. Aside from isolated episodes during my teenage years, I’ve always been a physically active person. Athletics took being just physically active to another level. In track & field, the most athletic person almost always wins. For the past decade, I’ve been breaking and building my body to be faster, stronger, and better. 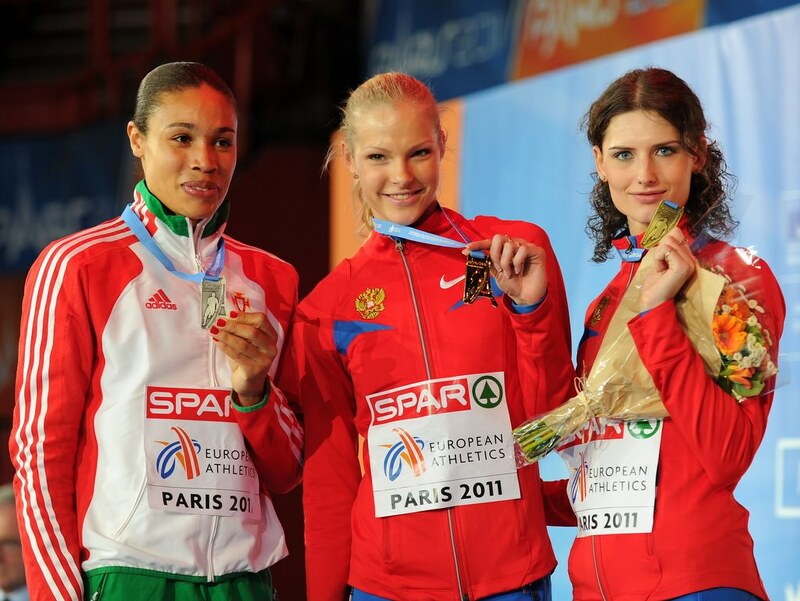 Click here to read about Darya Klishina, my other source of inspiration! Now that I’m retired from the hurdles, the time I spent doing exercise have declined. Instead of the usual five times a week, the training frequency had lessened to as low as three. This becomes problematic. I seem to get withdrawal symptoms when I don’t workout. I tend to imagine my tummy getting bigger, losing my washboard abs, and plyometric activity. These thoughts are nightmarish! Athletes like Torres are an inspiration. To be able to compete at such a high level, despite the disadvantages of age, are truly remarkable. Even if I’ve hung up my spikes, I would never ever give up the active lifestyle. Like Dara Torres, I’ll be pursuing ways to make my body perform better. Although I am still at a loss on what sport to pursue next, in light of my priorities in life, one thing is for certain: I’ll always be an athlete! A Mexican website has made a list of its Top 10 Hottest Olympians. Although Darya Klishina Дарья Клишина did not make the Russian team, she is featured prominently in the article. Previous Track Beauties like Leryn Franco, Yelena Isinbayeva Елена Исинбаева, and Christina Vukicevic Љубица Вукићевић are also included. The author provided links for readers to learn more about the featured athletes. Lo and behold, my old Track Beauty of the Week post on Vukicevic was included! I’ ve been getting quite a lot of hits from Mexico, as a result. I made the right decision in migrating all my subsequent Track Beauty posts to Superb Senora. The weekly feature is now on its 2nd year and has taken up a significant chunk of well-known and up and coming athletics personalities. I do not want to be explicitly associated with the Track Beauty brand. Besides, my blog hurdler49 offers more than just your weekly dose of talented female athletes. Russia and the former Soviet Union has a storied history in women’s long jumping. The 7.52m world record of Galina Chistayakova Галина Чистякова still stands. Tatyana Kotova Татьяна Котова, and Tatyana Lebedeva Татьяна Лебедева occupy prominent positions in the all-time list. Out of the nine Olympic medals at stake the last three Olympic Games, Russian women had won a staggering five. The troika of Lebedeva, Irina Meleshina, and Kotova even made a clean sweep of the podium at the 2004 Athens Olympics. The long jump is one of the most exciting discipline in athletics. 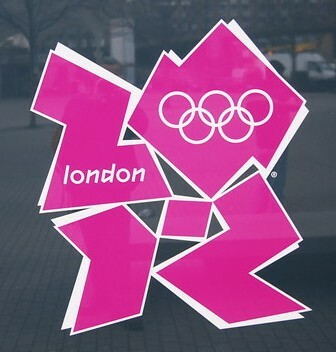 The London Olympics will feature a good mix of upcoming and current athletes, going head-to-head for a memorable competition. Brittney Reese (7.12m SB outdoors, 7.23m SB indoors) has dominated the women’s long jumping scene the past few years. 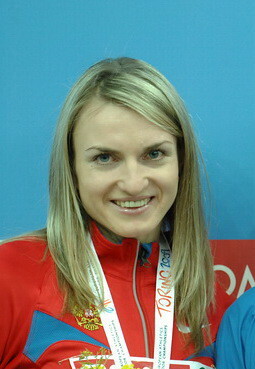 Reese made her international debut at the Osaka World Championships in 2007, where she placed eighth in the final, as the Russian troika of Tatyana Lebedeva (Татьяна Лебедева), Lyudmila Kolchanova (Людмила Колчанова), and Tatyana Kotova (Татьяна Котова) made a clean sweep of the medals. Since then, the unorthodox former basketball player had won two World titles (2009 and 2011) and two World indoor crowns (2010 and 2012). 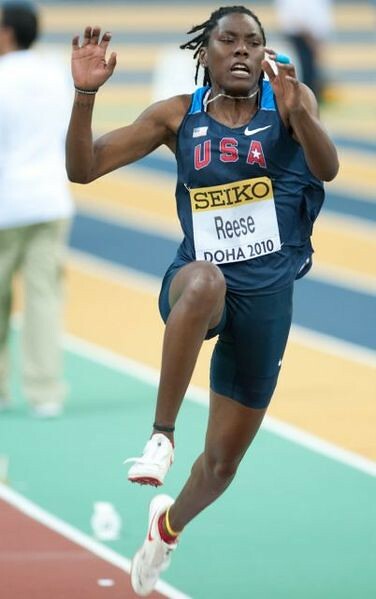 Although the American has shown chinks in her armor in some long jump competitions, Reese has displayed nerves of steel in the championships that count the most. Only an Olympic medal eludes her collection. The rest of the long jump field will be hard-pressed to top a motivated, healthy and techinically-proficient Brittney Reese. This is hard for me to say, considering that I’m a big fan of Darya Klishina Дарья Клишина: The American is poised to win the Olympic long jump title. But then again, Reese had shown erratic jumping in the past. She could be beaten in a major championship. The in-form Russian, Olga Kucherenko Ольга Кучеренко (7.03m SB outdoors, 6.91m SB indoors); the defending Olympic champion, Maurren Higa Maggi (6.85m SB); and the prolific Darya, are at the vanguard of Reese’s challengers. Kucherenko, who has a personal best of 7.13m from 2010 and the silver medalist from Daegu, has displayed sterling form this year. Reese, Anna Nazarova (7.11m), Chelsea Hayes (7.10m), Nastassia Mironchyk – Ivanova (7.08m), Kucherenko, Janay DeLoach and Veronika Shutkova have all gone beyond 7 meters this season. Brazil’s Maggi has experienced a resurgence the past two years. A 7.26m jumper at her best, The 36-year old Maggi had gone tantalizingly close to 7 meters in 2011. Note: Klishina and Kucherenko did not make the Russian Olympic Team. These athletes are in the running for a spot on the podium. Sostene Moguenara (6.88m SB outdoors) and Shara Proctor (6.84m SB outdoors, 6.89 SB/PB indoors) have also displayed excellent form in 2012. Although slowed down by an ankle injury last season, the 21-year old Klishina has the makings of a future champion. 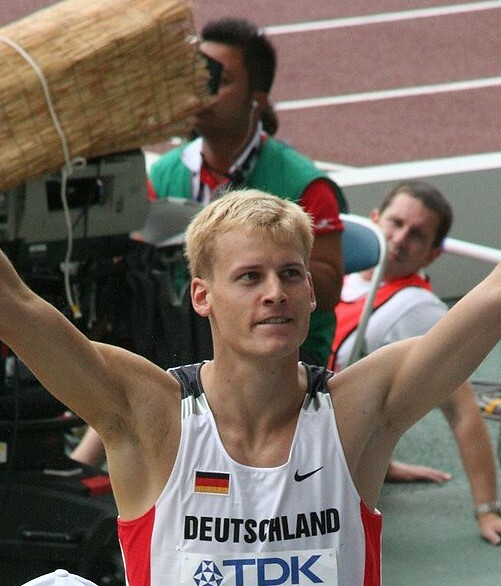 The 2011 European Indoor champion has an outdoor personal best of 7.05m from 2010. Darya is the second-best junior long jumper of all-time, behind the great Heike Drechsler. A healthy Klishina could foil Reese’s Olympic dreams. But then again, Klishina and Kucherenko were not selected to the Russian Olympic Team, as they finished below the top three at their Olympic Trials. The Russian squad possess such depth that they can make do without a talented junior and an in-form athlete. A total of eight jumpers have gone beyond 7 meters this season. Reese is my top choice for Olympic gold, with Nazarova and Mironcyk-Ivanova for silver and bronze, respectively. If Dwight Phillips (8.74m PB), the 2004 Athens Olympic Champion and four-time World champion, did not figure in a car accident last May, he’ll be the favorite for the Olympic title. But then again, misfortune had plagued the long jump legend’s 2012 preparations. Hence, the field is wide open for a flurry of names to rise to the occasion. 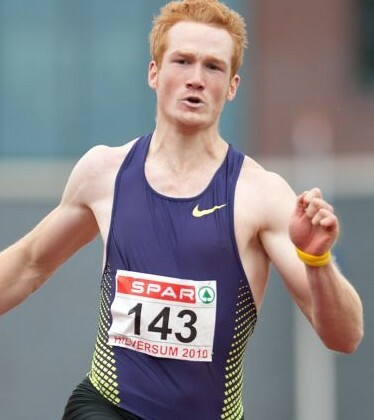 The farthest jump this season is just a relatively humble 8.35m by the host country’s Greg Rutherford and Russian junior Sergey Morgunov, who rewrote the World junior record. Sebastian Bayer and Marquise Goodwin have respective season’s bests of 8.34m and 8.33m. A mere four centimeters separate the next six athletes in the 2012 rankings: Godfrey Khotso Mokoena (8.29m A), Mitchell Watt (8.28m), Henry Frayne (8.27m), Christian Reif (8.26m), Will Claye (8.25m), Jinzhe Li (8.25m), and Aleksandr Menkov Александр Меньков (8.24m. The newly-crowned World Indoor champion, Mauro Vinicius da Silva of Brazil, has a season’s best of 8.10m. The contenders, save for the 34-year old Phillips, are a young bunch. The oldest is the 27-year old Reif, the 2010 European Champion. 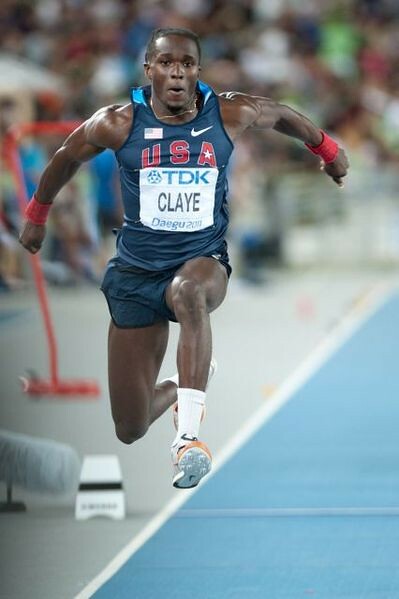 Will Claye, attempting the triple/long jump double is the youngest at 21-years old. If the clock runs out for the recuperating Phillips, the battle for long jump gold will be two-pronged. 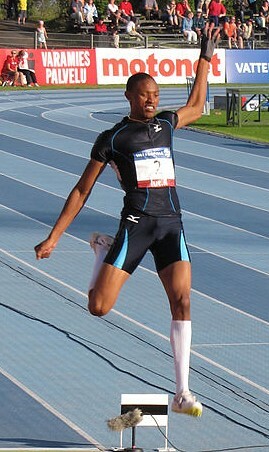 Mokoena, the 2008 Olympic silver medallist, has the most considerable experience and the farthest lifetime best at 8.50m. 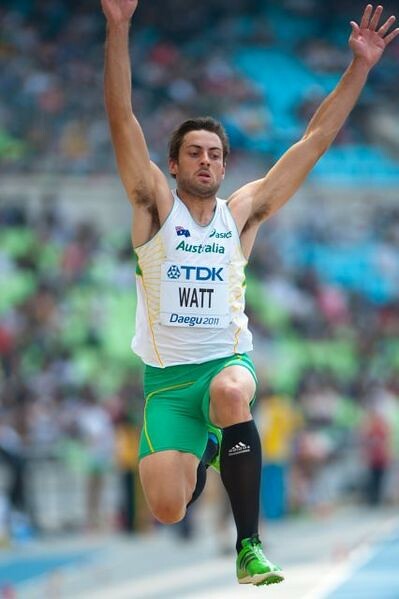 Reif (8.47m PB) and Watt (8.45m PB) round up the next two. Bayer has an indoor personal best of 8.71m from 2009. Although he had won the 2012 European title with his 8.34m leap, the European indoor record holder has been unable to replicate such high-quality jumping in major championships. Should Bayer get his act together, he could finally live up to his huge potential. Then there’s the young Russian Morgunov, who leaped to new World Junior Record of 8.35m. Should he be able to display the same level of consistency, he could figure in the top three. 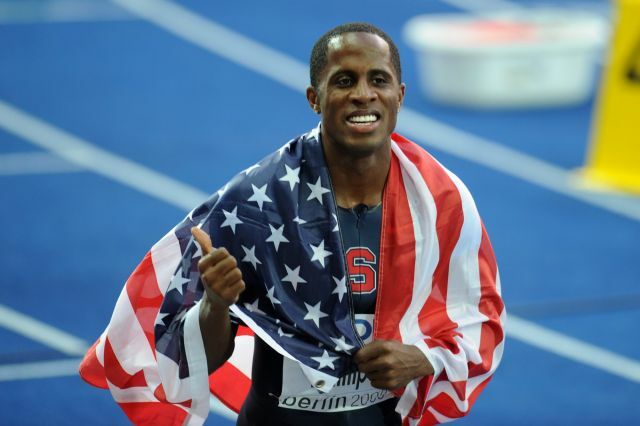 Phillips is my sentimental favorite to win the long jump gold. Had he not been injured, he would have been a strong contender for the top spot. These jumpers certainly are capable of leaping beyond the humble season’s best of 8.35m. The prospects for the Men’s Long Jump competition are indeed exciting due to its unpredictability. There’s no better way to augur the 2012 athletics season than to see Darya Klishina Дарья Клишина compete! With our favorite long jumper still recovering from a surgically-repaired ankle, Klishina still managed to top the Aviva International Match held in Glasgow a week back. The Russian notched modest marks of 6.66m and a season’s best of 6.75m, as she fouled the rest of her four attempts. Britain’s Shara Proctor (6.59m) and the Bahamas’ Bianca Stuart (6.38m) finished 2nd and 3rd, respectively. The talented Darya Klishina Дарья Клишина won her first senior crown at the European Indoor Athletics Championships in Paris. The Russian junior record holder came from behind to nip Portugal’s Naide Gomes, the reigning European outdoor champion. The popular Russian opened with a relatively modest 6.61m. By the third round, Gomes (6.79m) and the exuberant Yuliya Pidluzhnaya Юлия Пидлужная (6.74m) was at the top of the long jump perch. Klishina was a mere centimeter behind her compatriot, Pidluzhnaya, at 6.73m. In the fifth round, Klishina flew to 6.80m, bettering Gomes’ mark by the infinitesimal of margins. With Gomes and Pidluzhnaya notching fouls in their respective final leaps, the standings became final as the formidable Russian duo notched a 1-3 finish. Our favorite long jumper, Darya Klishina Дарья Клишина, started the 2011 with a bang. The comely Klishina ruled the recently concluded Russian Winter indoor meeting. This early, Klishina looks sharp. Her first round effort of 6.82m sealed victory early on. Her subsequent marks were 6.53m, 6.77m and 6.76m. Two of the aforesaid leaps were better than second-placer Anna Nazarova’s Анна Назарова 6.75m. Here’s to a successful 2011 season, Darya! I stumbled upon a new Darya Klishina Дарья Клишина clip from Youtube last night. In the video, Darya is seen modeling and training (doing hurdle drills, plyometrics and jumping workouts!). She’s as comfortable on the track as she is in front of the camera. It’s just a pity someone hasn’t uploaded English subs yet, since the interview is in Russian! Or maybe I should just learn Russian. Mind you, Darya isn’t just another pretty face. Although her looks rival that tennis goddesses like compatriots Anna Kournikova Анна Сергеевна Ку́рникова and Maria Sharapova Мари́я Ю́рьевна Шара́пова, Darya’s skills are akin to the latter. At the tender age of 19, Darya rewrote the Russian junior long jump record by leaping 7.03m – the second best all-time performance by a junior. Klishina has yet to translate her tremendous potential to the senior ranks, having been dropped from the Russian lineup to the 2010 Barcelona European Championships for a string of poor performances. Nevertheless, Darya has the makings of a galactic superstar.